Savers who lost money after the offshore arms of Icelandic banks went bust have formed action groups to try to get their money back. Landsbanki Guernsey Depositors Action Group and the Kaupthing Isle of Man Depositors Action Group want government intervention to resolve the issue. 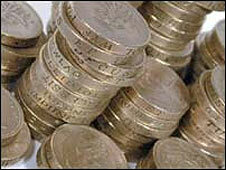 More than 2,000 people had £117.3m saved in Landsbanki Guernsey. It is thought 7,000 people had about £860m saved in Kaupthing Singer and Friedlander in the Isle of Man. Landsbanki Guernsey went into administration several weeks ago and Kaupthing Singer and Friedlander Isle of Man has been put into provisional liquidation. "We are not rich, we are working class, ordinary people, at our age we will never be able to replace that money. Daniel Herzberg lives in Spain. He formed the Landsbanki Guernsey action group after losing a five figure sum. He said: "We are getting 30p in the pound back. "Our aim is to get one of the three government bodies, the Guernsey government, the UK government or the Icelandic government, to compensate us for the other 70%. "Any compensation of less than 100% is not acceptable." The bank's administrator said last week the 30p in the pound was an interim payment. It said the prospects of further payments are said to be good, but will be dependent on the recovery of certain liquid assets and sale of commercial loans. Some savers opened Landbanki Guernsey accounts because it is difficult to open a UK bank account without a UK address. One woman, who currently lives in France and asked not to be named, said: "We feel like the whole world has forgotten us." "We are not rich, we are working class, ordinary people," she added. "At our age we will never be able to replace that money. "Fellow depositors are talking of suicide and the thought has crossed my mind several times." Guernsey currently has no saver deposit protection scheme, although the States Treasury Minister Charles Parkinson has said proposals for such a scheme is likely be put before the house by the end of November. The Isle of Man will compensate people for the first £50,000 lost, but there are fears the scheme could be swamped by high demand. A UK Treasury spokesman said: "Investors with accounts outside of the UK's jurisdiction ... should talk to the relevant authorities where their money is invested. "Following discussions with the Isle of Man the UK Government has agreed to represent the Island in high level discussions with the Icelandic authorities. "The UK Government would also be willing to represent Jersey and Guernsey should it be asked to do so." In a statement released last Wednesday, the States of Guernsey said the UK Treasury had already pledged to support it in dealing with the Icelandic government.